Cars, bikes, stunts, people, sunshine and more. 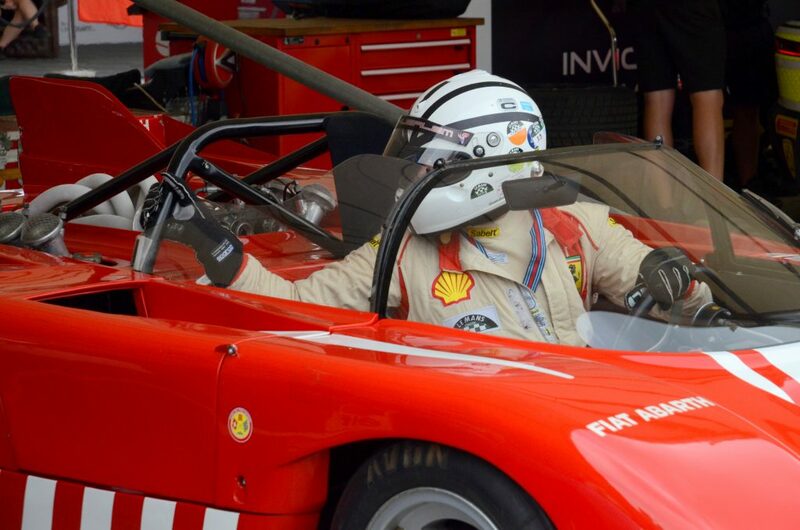 Something for everyone to enjoy and be thrilled by, the 2018 Goodwood Festival of Speed. 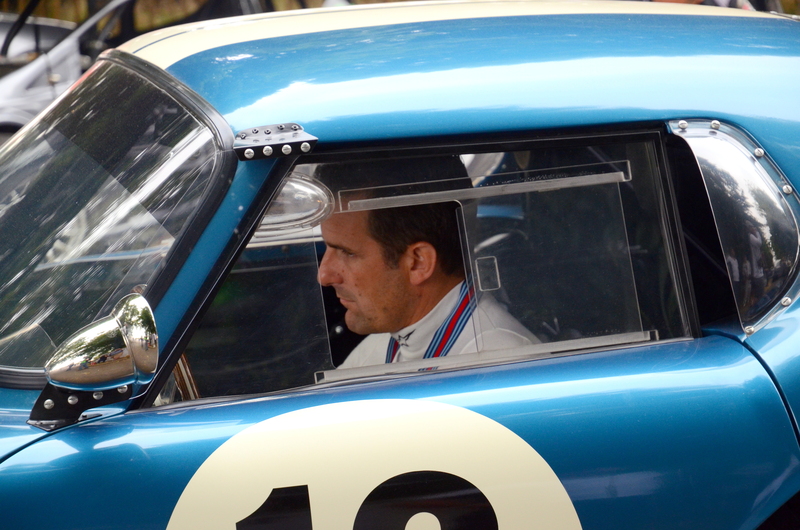 1999 Indy 500 winner Kenny Brack drove the Shelby Daytona Cobra up the hillclimb. 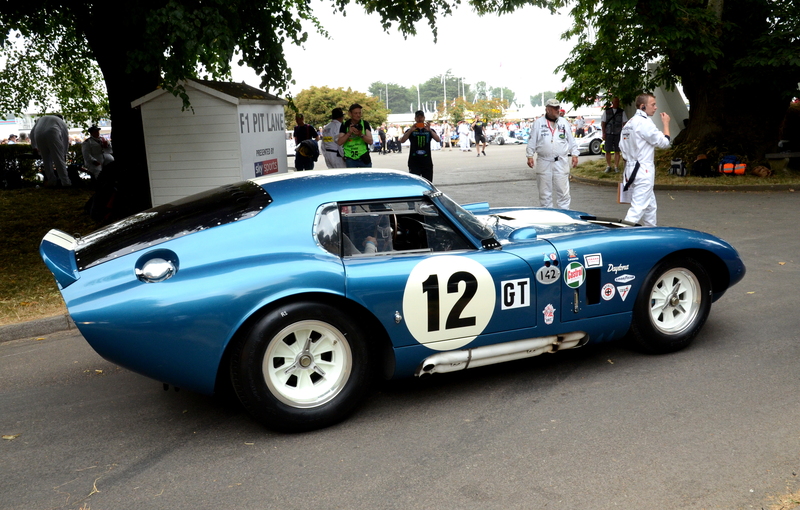 Photographed in the holding paddock, waiting to go down the hill to the start. 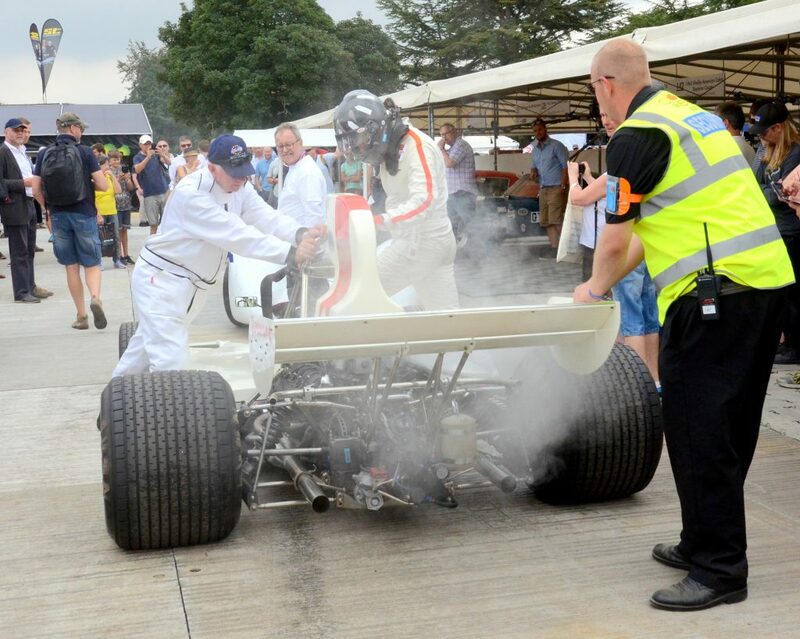 A small problem with smoke, the Lola T370, originally driven by Graham Hill, in the paddock having returned from the hillclimb. 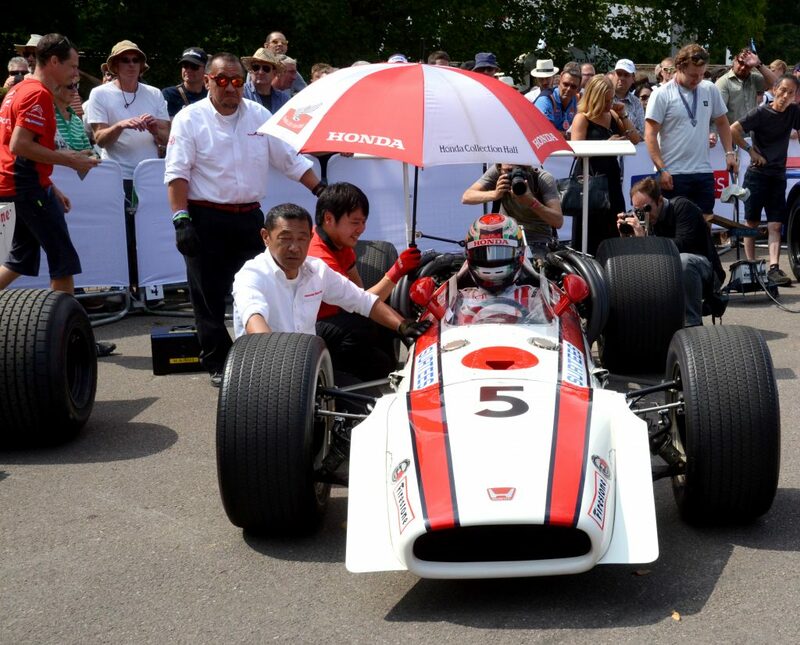 Honda’s protege, the Formula 2 driver Nirei Fukuzumi, sitting in the cockpit of the Honda RA301, in the holding paddock prior to the hillclimb. 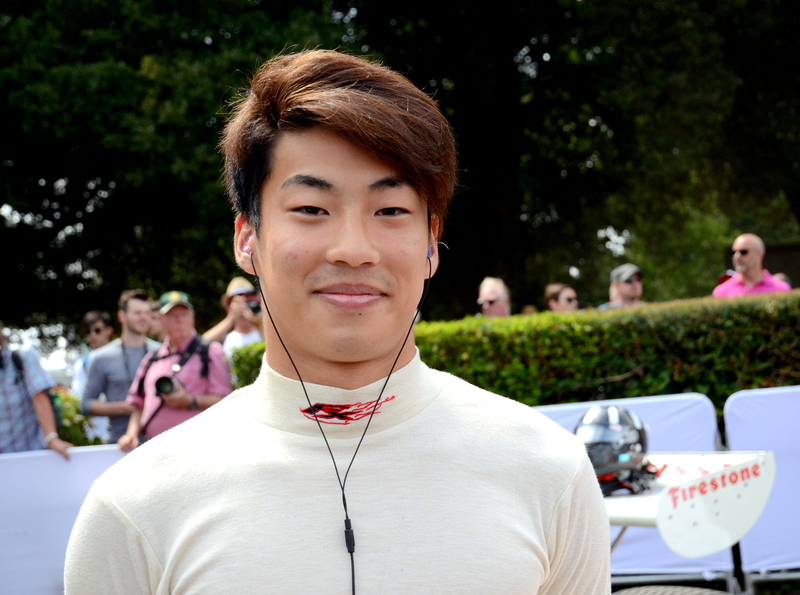 21 year old Nirei Fukuzumi, currently competing in Forumla 2 for Arden International. 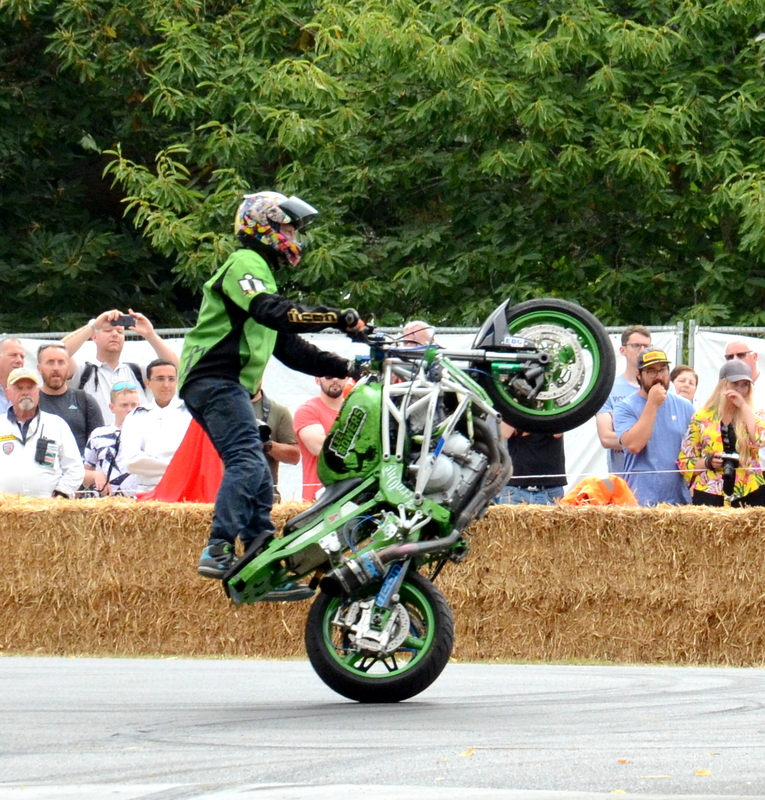 We saw some phenomenal stunt riders this year, they put on quite a show! 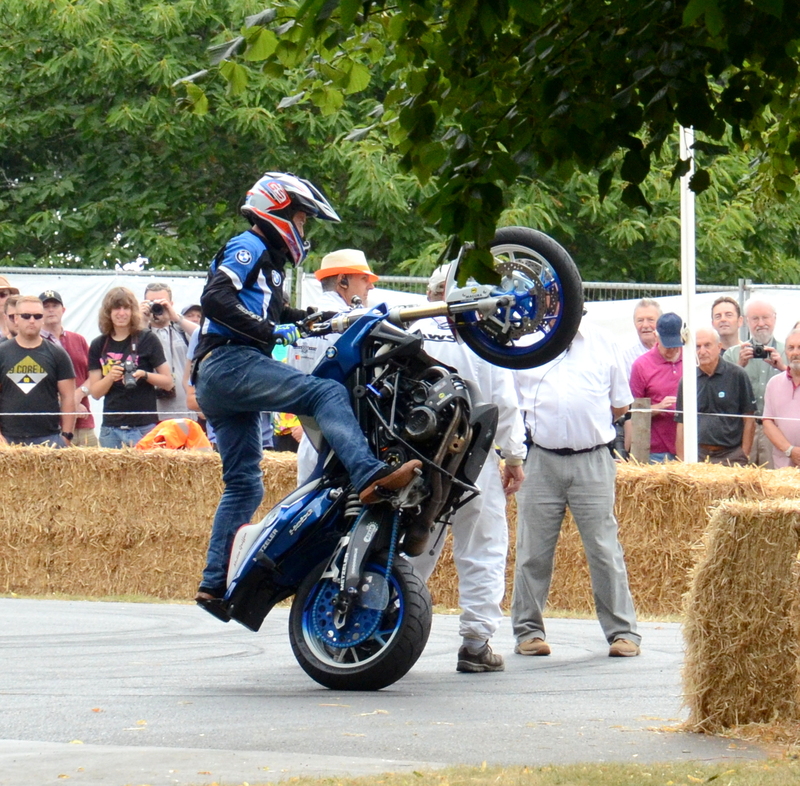 BMW Stunt-rider Mattie Griffin in action, circling the group of Marshals as he goes on his way.